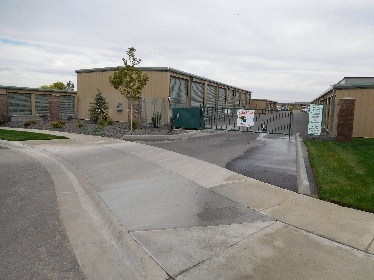 Stor-It Self Storage > Locations > ID > Self Storage Nampa ID > 6236 Hunt Ave.
Stor-It Self Storage - Hunt Ave Location features over 500 brand new units conveniently located right across the street from the Ford Idaho Center with direct access to I-84 from Garrity Blvd. Take the Garrity Exit then right onto Idaho Center Blvd, then Left on Hunt Ave right before Mitsubishi Motors. Follow Hunt Avenue back until you see our big green gate! "Don't let the clutter bug you! If your pond(erring) a place to store your belongings then hop on over to our newest pad in Nampa where our customer service is toadally awesome and guaranteed to be a ribbitting experience!"